London Sash Window Repairs Ltd pride ourselves on the ability to offer some of the lowest prices available from a professional sash window company in London. In order to help us keep our costs low and carry out your installation as efficiently as possible we need a little help from you. Please note this does not form part of any terms, it’s just a good honest, advisory list and provides further information you might like to know about your installation. It’s all pretty much common sense and designed to make the installation go as smoothly as possible for you. The most important part of your installation is easy access to and from your property. We will require one or two vans on a typical installation – you’ll be informed in advance of the how many staff and vehicles present. The reason parking in close proximity is so important to us is that we will need to take all sash windows into the mobile workshop for machining and preparation. Machining sashes outside is one effective way of keeping your property clean, if we need to park a long way off it is difficult for power to the vehicle as well as creating more work handling. Please let us know ahead of time if you have any specific requests such as needing a quiet time in the day, or a time you’d like us to start and any other personal requests. We will do our best to help in anyway we can. Typically we like to get working at 8:00 a.m when it is legal to make a noise. We are diligent, honest, and aware of surroundings however taking precaution against damage is a wise move since sash windows need to be moved around and the whole process is quite intensive. If you have computers, electrical, or expensive items close by windows we will be installing, then they will need to be removed to avoid even the smallest possibility of damage. Computers and electrical items can be temperamental at the best of times and we would much rather you moved them prior to us arriving as to minimise the potential for damage. If your curtains or blinds are standard and easy to remove we have no problem helping you doing so, however if you’d like to help put them away before install then it leaves us to concentrate on your install and is greatly appreciated. In the event you have beautiful curtains on runners and we are entirely replacing your sash windows then we advise you contact the original installer, to remove the entire system. If your having sash window repairs and draught proofing then please simply unhook them from the runners. We would like you to do this as they can be quite tricky. If you have any queries please do not hesitate to ask in advance of the install. 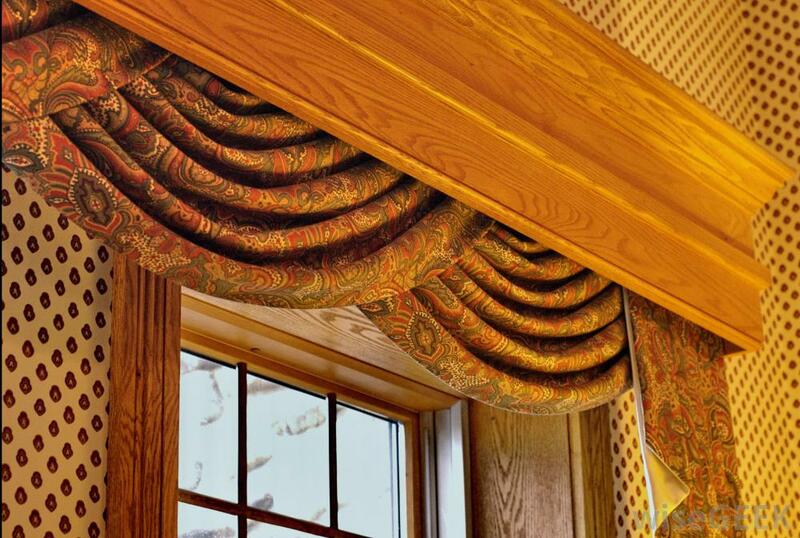 Here’s an example of the type of curtain we would like you to help with. We appreciate plantation shutters are not an easy removal. In the event sash will pass them we are happy to work around them. If the sash will not pass out of frame unobstructed then we will remove them for you and this will be discussed in advance and factored into your quotation. If you are capable of removal or wish to arrange this with a third party we will be very grateful, however not necessary. Of course if the plantation shutters are removed prior to install then we do not need to factor any additional time into the installation. 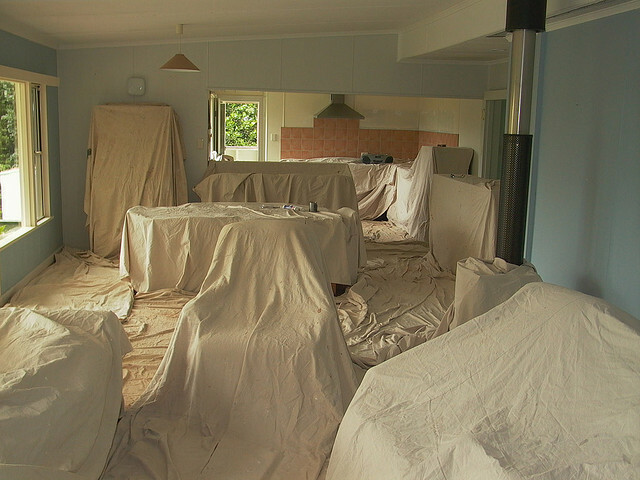 We will lay dust sheets in any location that we feel may cause soiling or damage to your property. If you have carpets or wood flooring that are of importance to you, beyond dust sheeting, we recommend you lay boarding and dust sheets of your on. We are happy to supply boarding and lay this however it will attract an additional cost and should be discussed on site with your estimator. I’ve broken each element down as neatly as possible. Please skip this if it does not apply to you. If it does then let’s discuss. We might ask if there is a room to machine in, and use as the workshop. Running sashes up and down stairs is time consuming and dangerous in some cases. We can workout how to completely clear a room, dust sheet and board. This will help keep out prices competitive to you. Dust can get through dust sheets! I know that doesn’t sound right but finer dust really can get through dust sheets. If you have any particularly important cloth or fabric we will be all too glad to use plastic dust sheeting as well as cloth to protect your property. If we believe your install to be likely to create the fine dust that will pass we will let you know. If you have any furniture preventing easy to sash windows that is fragile or antique, we would kindly as you to have this moved prior to the install. If it’s standard furniture we have no problem lending a hand, though any clearing done helps us considerably. In the ideal situation you will be present when we have finished working on your property. The installer will go through any parts of the job of interest as well as check that you are fully happy with your installation. It is better to go through each and every window at the end of the installation to fully satisfy yourself. It also provides the installer an opportunity to let you know if there is any special requirements going forward, or if there was any complications with the window. At this point you will be provided with an invoice to pay on completion. If you’ve read this far, then I really have to throw this one out there! It’s a bit cheeky to put on our commercial website I know, but a good cup of tea or coffee goes a long way. We really do appreciate it and you wouldn’t believe the little extra bits I’ve done on installations out of courtesy in the past for a nice cup of tea or coffee! There might be some useful pointers you’d like to know. Please do not hesitate to contact us and let us improve this post to help you & future clients. Thank You.